a plaintiff will be entitled to aggravated damages only where he can show he suffered mental anguish as a result of the defendants’ exceptional conduct (at ). The case involved a botched operation on the plaintiff’s hand and a conspiracy to cover up the failed surgery. In court, the main dispute concerned the amount of damages the hospital should be made to bear. The assistant registrar awarded the plaintiff a total of $240,000 – $10,000 in compensatory damages for the time and effort he spent in pursuing his claim and $240,000 in aggravated damages for distress. Both parties appealed. The High Court revised the total figure down to $63,000. This comprised $21,000 as general damages – or the plaintiff’s expenses in investigating into the conspiracy – and $42,000 as aggravated damages for the plaintiff’s distress. The plaintiff, Mr Li Siu Lun (“Mr Li”), was the patient of the first defendant, Dr Looi Kok Poh (“Dr Looi”). Dr Looi’s clinic was located at Gleneagles Hospital, the second defendant. In April 2006, Mr Li consulted Dr Looi at his clinic in relation to stiffness in his right hand and wrist. Dr Looi performed surgery on Mr Li on 26 April 2006. Unfortunately, Mr Li’s condition worsened after the surgery. In a bid to discover what went wrong, Mr Li applied for a copy of his operation report. Gleneagles Hospital released a copy to him on 11 August 2006. Later that month, on 25 August 2006, Mr Li requested a copy of another document – his operation consent form. The operation consent form was filled up by the nurse, Ms Chew, and signed by Mr Li before surgery. When signed, it only purported to procure consent in relation to a single procedure. It was Gleneagles Hospital’s policy to only accede to requests for copies of patients’ operation consent forms when the respective doctor granted permission. In this case, Dr Looi initially declined but eventually relented on 28 August 2006. When he had sight of the copy of the consent form, he discovered that two procedures were listed on the form. He speculated that the form had been tampered with, and alerted Gleneagles Hospital in July or August 2007. On 16 March 2009, Mr Li sued both the doctor and the hospital. In December 2009, Mr Li served interrogatories on Ms Chew. Ms Chew answered the interrogatories, admitting that Dr Looi told her to add in words to the form to convey the impression that Mr Li had consented to a further procedure being performed on him. Ms Chew did as she was told. Mr Li’s claim against Dr Looi was in the torts of negligence and trespass to person, the latter relating to the unauthorised second procedure. 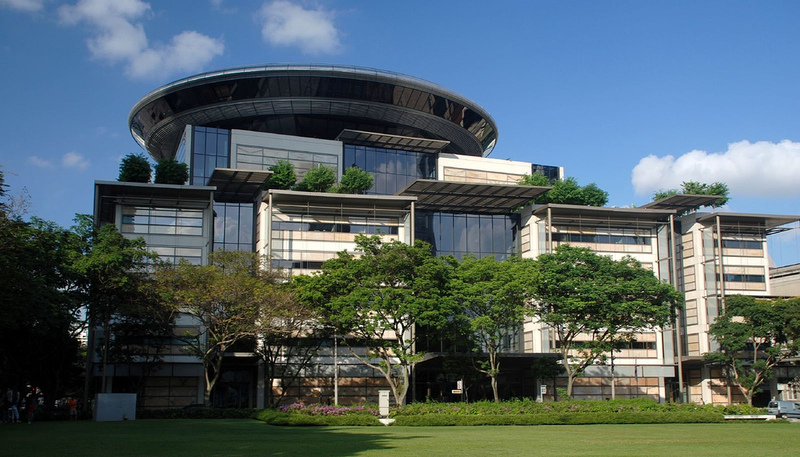 Although initially prepared to contest the claim, Dr Looi eventually withdrew his defence after Ms Chew’s answers to the interrogatories were filed and settled Mr Li’s claim against him for $160,000, with costs at $102,000. punitive damages for Gleneagles Hospital’s conduct. First, the relevant principles when quantifying damages at large in conspiracy. Second, whether expenses incurred in investigating into the conspiracy can be claimed. Third, the relevant principles in relation to aggravated damages. The Judge noted that once the plaintiff has proven damage in his claim in conspiracy, the court will not be constrained by a precise calculation of the amount of the plaintiff’s actual pecuniary loss when assessing damages (at ). Rather than simply awarding nominal damages, the court should strive to ascertain a suitable measure by which to quantify the plaintiff’s damages (at  and ). In this case, an appropriate measure was the costs of investigation in relation to the conspiracy (at ). Where no measure is available, the court should have recourse to the yardstick of the reasonable man (at ). Where the evidence is limited, the court should only award a modest sum as damages (at ). Amongst the factors the court may take into account when assessing damages are (a) the outcome of related legal proceedings that the plaintiff may be initiating (in this case, the settlement between Mr Li and Dr Looi) and (b) exacerbation of costs, expenses or damage that may be a result of the plaintiff’s own unreasonable actions (at ). In short, the award should not amount to a windfall for the plaintiff. As stated by the Court of Appeal in Maryani Sadeli v Arjun Permanand Samtani and another and other appeals  1 SLR 496 (“Maryani”) – a case involving the parties from the Horizon Towers dispute, this time contesting costs of the earlier proceedings – a party would generally not be able to claim for unrecovered legal costs in previous proceedings as damages in a subsequent action, whether or not third party proceedings are involved. This is explained by the policy of enhancing access to justice for all, as already institutionalised in the legal regime such that full recovery of legal costs by the successful party is the exception rather than the norm (at ). In this case, there were two seeming attempts to claim legal costs as damages. First, Mr Li claimed costs in relation to the interrogatories application – $25,000 for the costs of the interrogatories application (based on 36.4% of his interim legal bills dated 30 November 2009 and 12 March 2010) and $1,500, being the amount paid to Ms Chew in respect of the interrogatories application. These were not, in fact, legal costs but simply investigatory costs (at [124(d)] and ). This was especially so given the parties’ agreement in the consent judgment whereby Gleneagles Hospital conceded liability and consented to damages being assessed. This precluded Gleneagles Hospital from subsequently claiming that such a loss could not be claimed as a matter of law. The Judge found, however, that $25,000 was too high and that $13,500 was a reasonable figure (at ). Second, Mr Li claimed $30,000 for his “loss of access to accurate medical records and for not having been informed of the unlawful alteration”. The rationale was that $30,000 was the difference (in solicitor-and-client costs) between a straightforward negligence claim against Dr Looi and the complicated case Mr Li eventually had to pursue. The assistant registrar rejected this claim as he found it was in reality legal costs being claimed as damages (at ). The Judge similarly rejected this claim, albeit for different reasons. She was cognisant that Mr Li had already reached a settlement with Dr Looi on costs and was concerned that a further award of damages on that basis may amount to allowing Mr Li double recovery (at ). Aggravated damages may be awarded in cases where there are aggravating features which would result in the plaintiff not receiving sufficient compensation if the award were restricted to a basic award. They have to be specifically pleaded. contumelious or exceptional conduct or motive on the part of the defendant. Given the need to show (a), aggravated damages apply only to natural persons. Also, aggravated damages may be awarded for claims in the tort of conspiracy by unlawful means (at ). events up to and including the trial. On the facts of the case, two important facets were (a) the status of Mr Li as a patient and Gleneagles Hospital as the hospital that admitted him and (b) the overall conduct of the defence (in particular, how doctor and hospital closed ranks, which went beyond the bounds of acceptable litigation strategy) (at ). The Judge awarded $42,000 in aggravated damages. The Judge also noted that the aggravating factors only persisted up till the consent judgment was recorded (at ). Thereafter, any distress suffered would simply be “litigation stress”, which would not be claimable. For this reason, Mr Li was denied his entire claim for aggravated damages up till the end of litigation. The Judge’s analysis on whether litigation costs of previous proceedings can be claimed as damages was helpful in that it highlighted the two competing principles of (a) compensating the victim for his loss and (b) ensuring justice for all. In Maryani, the appellants’ claim was in equitable compensation for the respondents’ breach of their fiduciary duties. The appellants had succeeded below and been awarded costs. Nevertheless, they sought to claim the shortfall between the party-and-party costs (which they had been awarded) and the solicitor-and-client costs (which was in excess of the former). The Court of Appeal disallowed the claim. Although costs generally follow the event, the rules on quantification of costs mean that a party would never be able to “litigate for free”, win or lose. These rules on quantification are underpinned by the policy of bringing down costs of litigation and – whether as a result or otherwise – promote access to justice. The Judge succinctly restated these points at . She found, however, that Maryani did not affect her analysis of the investigatory costs award (of $15,000) and that the general rule against recovery of (full) costs was not engaged due to the unique facts of the case. Her reasoning seemed to be two-fold. First, she noted that Gleneagles Hospital had already conceded that Mr Li suffered pecuniary loss in the form of legal costs incurred in the interrogatories application (in the consent judgment) and that it was therefore precluded from subsequently arguing that such a loss cannot be claimed as a matter of law. Second, she dichotomised between (a) claiming legal costs outright and (b) using legal costs incurred as a measure to assessing damages incurred – in particular, one party’s investigatory costs. The latter, she found, was based on a discrete principle and was not a backdoor attempt to undermine or militate against the general rule against recovery of solicitor-and-client costs. It is also notable that the Judge found Mr Li’s proposed figure of $26,500 excessive, awarding $15,000 instead (at ). This case exemplifies the fallout when principle crosses swords with policy. Although tort is generally concerned with compensating the victim, the general rule on quantification of costs does not seem to be subject to this overarching principle. In fact, the Court of Appeal’s approach in Maryani was to consider the general rule on costs in law – not simply within the confines of the law on equitable compensation. In this case, for example, although Gleneagles Hospital had consented to damages being assessed and Mr Li was simply relying on his solicitor-and-client costs as a measure of loss, the end result is that Mr Li would have successfully claimed his solicitor-and-client costs in relation to the interrogatories application: a result that may sit at odds with the policy behind the general rule.